Many linguists believe that the language we use both affects and reflects our experience of the world. A popular illustration is that Eskimos have an unusually large number of words to describe snow—32 or more depending on the source. This diverse snow vocabulary is said to be linked with the fact that Eskimos live in a snowy environment and therefore various conditions or forms of snow are more meaningful to them. There’s a problem with this example: First of all, the term Eskimo is troublesome. A number of cultures are referred to under the umbrella term “Eskimo” and a number of different languages are in the Eskimo-Aleut family. Secondly, Eskimo-Aleut languages such as Inuit or Yupik tend to join noun roots and suffixes into one word while the same concept may exist in other languages as two words or a phrase. Some experts believe that an American skier has just as many words for snow as the so-called Eskimo. There are terms defining different snow conditions in the air, on the ground or in certain formations. Once it hits the ground, snow ideally exists as champagne powder. Untracked snow is delightful and bottomless powder can be fun but challenging. Snow boarders and backcountry skiers might refer to a fresh dump of powder as phat pow. (As in “Dude, it’s gonna be a phat pow day.”) On a clear cold night when surface hoar forms on top of powder, you can get loud powder which makes a beautiful tinkling sound when you ski over it. Lightly packed powder is acceptable snow for most skiers. 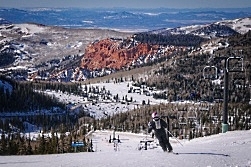 Beginner skiers often look for freshly groomed snow. Snow that has been repeatedly groomed by snow cats creates corduroy snow. There seem to be a lot more words for snow that reflect less favorable ski conditions. Crud, boilerplate, bulletproof, breakable crust, slush and mashed potatoes to name a few. Corn means that large, loose snow crystals froze at night, melted loose during the day and now act like ball bearings under your feet or skis. Death cookies, or frozen chicken heads form when spring slush refreezes. 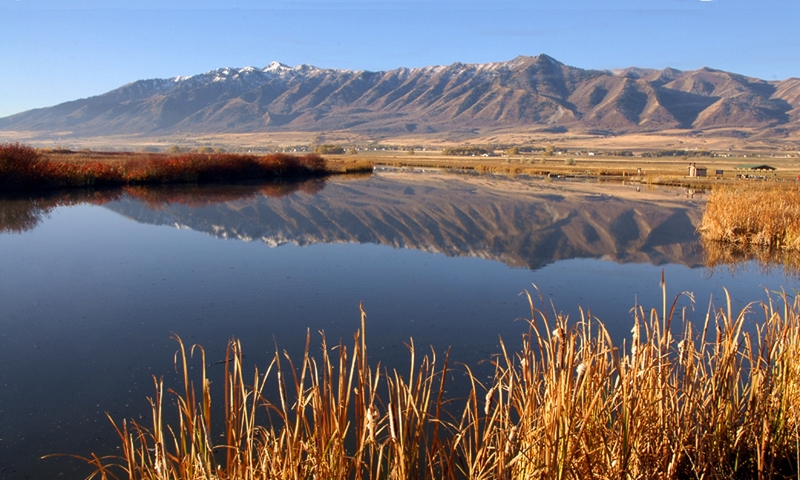 Utah skiers venturing outside the state might encounter blue ice in the East or Sierra cement to the west. While you are skiing, you might encounter snow in the form of a drift, cornice, avalanche, bank, pipe, roll or mogul. If children are around you might see a snowman, snowfort or snowcave. I’ve really just touched the surface here. If you consider all the words for snow, ice and crystal structures and weather conditions, the number of snow words really soars. 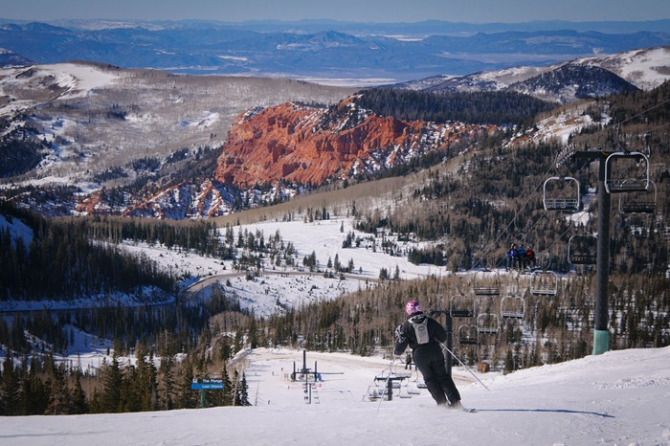 As snow specialists with a diverse vocabulary, you could say that Utah skiers could give the Eskimos a run for their money. 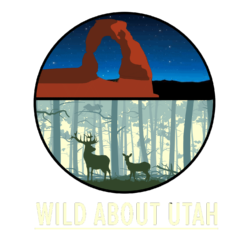 Thanks to the Rocky Mountain Power Foundation for supporting research and development of Wild About Utah topics. Thanks to Jim Akers, Sara Goeking, and Phaedra Budy for their assistance with snow terminology. Pullum, George. 1991. The Great Eskimo Vocabulary Hoax and Other Irreverent Essays on the Study of Language. University of Chicago Press.